After losing my job, retired friends told me days all run together if you’re not working. And that means Friday sort of sneaked up on me before something got posted here today. And that means it’s 2 p.m. and only 33 kind souls have stopped by for a peak. That’s not acceptable. So, rather than wash the dishes piled up in the sink or mow the yard or do laundry, how about I take a few minutes to empty my notebook, so to speak? Emptying the notebook was something I sometimes did in my newspaper days when I needed to write a column and couldn’t come up with one really good idea. My thinking was that three or four or five little ideas would have to suffice. 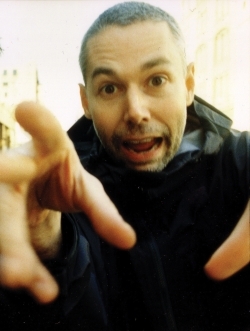 Kick It: Many of my friends on Facebook and Twitter are commenting today on the death of Adam Yauch, known as MCA to millions of Beastie Boy fans. He died Friday of cancer. He was 47. 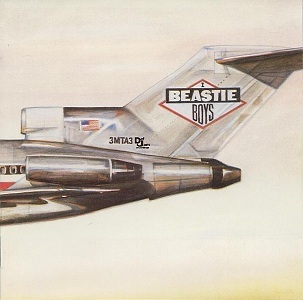 I’d guess just about everyone who is my age has probably owned Licensed to Ill, which the Beastie Boys released in November 1986, when I was a college freshman. I was 20 years old and what 20-year-old wouldn’t like songs like Fight for Your Right to Party. As it turned out, they did a lot of other stuff that was much cooler on their way to being selected as part of the 2012 induction class into the Rock and Roll Hall of Fame. A lot of that music is being listened to again today, I’m sure. It’s one thing when older baby boomer rockers die. Levon Helm’s death and the like are sad. But this hits a little too close to home. This was music I listened to whenever I was really pissed off back in college. And while the Beasties are known as a hip hop group, isn’t a main objective of great rock ‘n’ roll to give voice to people who are pissed off? They did. And they helped introduce hip hop to a lot of white, middle-class kids who are now middle-aged. I may not be young and pissed off these days, but I still like their music. I listen to it often. It’s great for working out, especially when climbing hills or lifting heavy weights — you know, the stuff middle-aged guys do when they’re trying to fight off the years and ignore the fact that 47-year-olds can die, too. Speaking of working out: Muscatine didn’t make the cut today in the Blue Zone Project selection process. The cities chosen to launch this program in Iowa are Waterloo, Cedar Falls, Mason City and Spencer. It was a disappointment for many Muscatine residents who had worked hard on the community’s application. I can’t help but wonder how much Muscatine’s application was hurt by the fact that interest in the community wasn’t as great here as it was in some other communities. Muscatine residents who are already active and trying to do the things preached by the Blue Zone author signed up. 1. It’s too expensive to eat healthy. 2. I can’t afford a gym membership. 3. I don’t have time to exercise. 4. Why, I couldn’t ride a bike or walk to work because I’d be all sweaty when I get there. None of these things are true. They are just excuses. Good luck to the communities that were chosen. Wish we could have joined you in this new adventure. Maybe it will be our turn the next time. I hope so. A bit of good news: Starting next week or the week after, it looks as if I will be working maybe three or four days a week in a temporary job. The owners of the West Liberty Index have asked me if I would work as the weekly newspaper’s interim editor while they take however long they need to find the right person to do the job permanently. In addition to this, I will be working on a volunteer public relations/marketing project for the Community Foundation of Greater Muscatine, applying for full-time jobs, working out and biking. Somewhere, I’ll have to carve out some time to keep up this bog. And in the meantime, it’s time to go wash those dishes. Or mow the yard. ← Bikes, beer and barbells. How was your Wednesday? Good for you keeping several things going…the volunteer gig could lead to something else, Just make sure you get the week off for RAGBRAI. Makes me really frustrated to think that we couldn’t have gotten some free $$! Guess if a few more can’t be motivated enough to punch a few buttons on their lap tops to register, guess we can’t expect them to be excited to get a few more miles of walking/biking paths for the better of our community. Mint Juleps to you all!